After months of feeling confused and unsure of my choices and path, like a veil lifting from my perception, a sense of clarity, positivity and happiness has encompassed me this past week. I forgive, yes, forgive myself and others for any transgressions. Realizing that all is part of my learning. 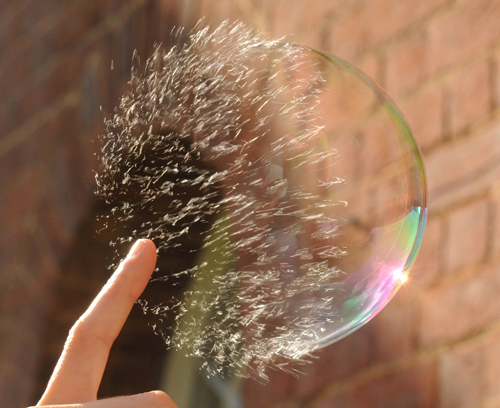 Little resentment balloons pop and I come to ease and peace within, forgiveness is the ultimate emotional cleanser. A part of Self-love is forgiveness, for self and others. In holding resentment, one can be held back from the present and truly living. Resisting is futile, what is, is. 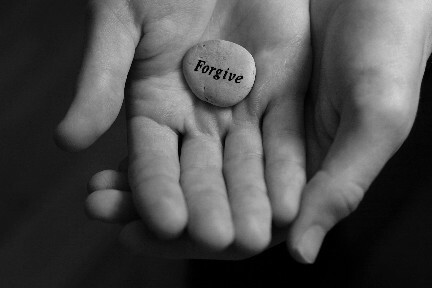 Forgiveness for self and others is the key to acceptance for life and whatever it may bring. Transformation comes from acceptance, which sometimes takes forgiveness. Harboring negative emotions about self and others breeds unhealthy thoughts and feelings, essentially hurting self. We have all made what seem like mistakes, yet, they are only transgressions teaching us. When one is hurt, it’s easy to hold onto pain. To self-protect a wall can go up, which locks into negative feelings. Shame, regret, anger, hatred, blame, inferiority, superiority and guilt are like blinders to self-love. I understand, as a human, it can be much easier to stay upset in a hurtful situation and end up playing the martyr or victim. In doing so, one thinks to themselves.. “If I stay upset about this, I won’t get hurt again in the same way”. In actuality, when we stay upset it creates subconscious patterns that lock in on being upset. Therefore, it becomes much easier to manifest situations that create the SAME UPSET, again and again…. hence…. Resentment and anger justify being upset and caught in a “story”. I say story because we create stories with our perceptions, everyone has a different side. Over time resentment festers and grows into ugly, nasty wounds that can take up inner peace, tranquility, ease and happiness, also causing unhealthy mental and emotional patterns about perceived “story”. We don’t ever fully know what another person has gone through and why they do what they do, until we walk in their shoes, which is an impossible technology thus far, all we can do is empathize. Rather that hold onto the hurt or upset, letting go, by forgiving is the most liberating feeling one can incur through trauma and hurt. Quite the contrary, forgiveness is a sign of the absolute strongest, a sign of resilience and the practice of a master. Have you ever been hurt by someone? Do you have the inner resilience to let that go? Sit quietly with yourself, breathing in light and love and on the exhale all negativity. Envision you and the person you wish to forgive or ask forgiveness from. Allow whatever emotions come up to surface, until you feel and understand your pain, or theirs. Then see white light surrounding yourself and the person/people. As you stand or sit connect a light to one another’s heart and visualize your individual lights growing to envelop one another, spreading farther in peace. Speak, think, feel whatever you need to in order to come to clarity and happiness, letting go of any old stories or upset. If you can, thank the individual for being a part of your experience. Envision whatever you may believe in surrounding the person in a love and light “temple” as you depart from one another. Whenever you think of the person in painful thoughts or emotions, visualize this temple of light taking it all away into the forgiveness that you just created. If you feel it is necessary, you can do more than once. You may or may not remember, but we connected about a year ago at a store in Lincoln Park when you mentioned your blog to me. I read it whenever I get a chance and though so much of what you write resonates with me, I was particularly touched by the “Forgiveness” piece. Forgiveness of myself and others is something I’ve been working on a lot the last couple of years. It is an intense experience, sometimes a little frightening to be so raw, but truly transformative, if we allow it to be. I have definitely not have mastered it in any way, but do recognize that it is a letting go of guilt, resentment, and past experiences that don’t lend to positive growth is a necessary part of understanding Self. So the attempt continues, everyday, a hundred times a day…. “All that has offended me, I forgive. Whatever has made me bitter, resentful, unhappy, I forgive. Within and without, I forgive. Things past, things present, things future, I forgive. I forgive everything and everybody who can possibly need forgiveness in my past and present. I forgive positively everyone. I am free and they are free. All things are cleared up between us now and forever. Thank you Kali! I do remember you, and it is so nice to hear from you. I had replied back a month or so ago but apparently it was somehow deleted! Thank you for sharing your beautiful affirmation, I have found it to be peaceful and quite helpful. I agree with what you have said about forgiveness, and remembering how easy it is to forgive brings a sense of powerful tranquility. This is great stuff! I’m super focused on purging resentments from my life right now. As people learn about one another, they use that knowledge to make predictions of others. If they make predictions that are often true, they may begin to resent the predictability of the other person. If at some point, their prediction/expectation is not met, they may resent the other person as well! It seems like resentment finds it’s way into any situation if we are not vigilant in using our LIGHT antibodies to purge it from our psychospiritual system. Thank you Kyle, I’m glad this resonates with you! The way you broke down your theory makes so much sense. I think that resentment is one of the biggest barriers to inner happiness, so letting go of it is a huge burden off of one’s shoulders, whether it is for other people, or even stereotypical thinking that holds one back from the ability to truly connect. Definitely interested to hear what your band plays… Hopefully I’ll see you guys there! !